An amazing tientos with two of Flamenco’s finest. This clip is notable for the facial expressions Bernarda makes, que gitana! 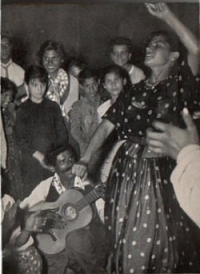 This is the Flamenco era I fell in love with and pine for. If only there was a Flamenco time machine!